In just six weeks, our son will marry his true love. The day of the event is fast approaching and a huge decision must be made! I haven't worn a dress in two years! I am in a panic! Do I have to wear a dress or can I wear dressy pants? 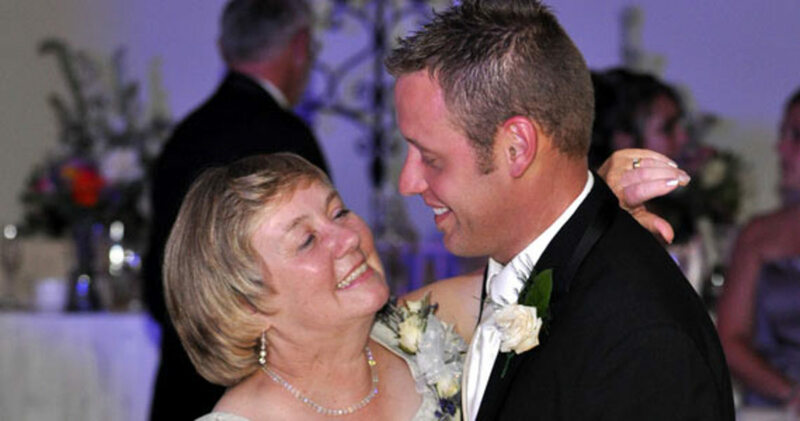 As the Groom's Mother, my choice of attire is largely dependent on the choices of the Bride and her Mother. Have you ever heard that the wedding is really for the Bride and her Mother? They do set the tone for the event. The location of the wedding and the time of day for the ceremony largely influence the wardrobe selection. 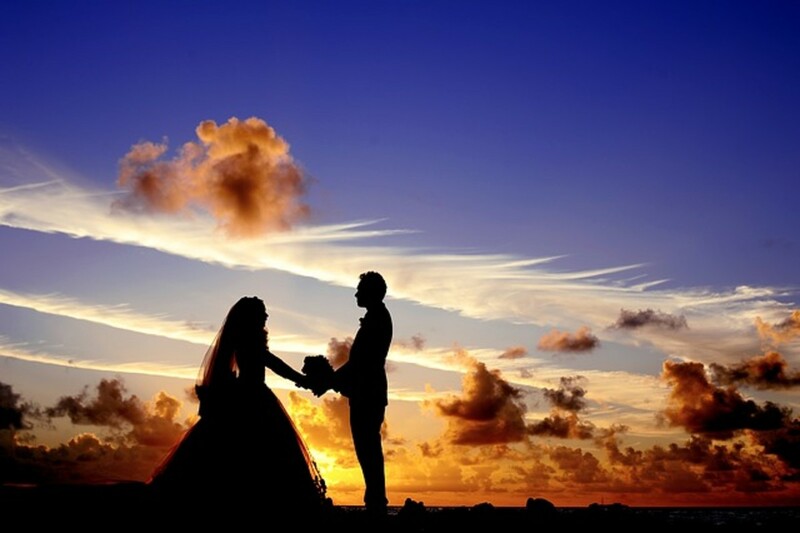 Evening hours for a wedding usually indicate a more formal affair. The stylish hours for a more formal wedding are seven and eight o'clock. Afternoon weddings are often more casual and informal than evening events. This will be a 5:00 p.m. wedding and will be less formal. The Bride has her wedding dress. The Mother of the Bride has selected a gown for the event. The colors for the flowers, decorations and Bridesmaid dresses have been chosen. My attire should complement the brides' choices. There are several forms of etiquette to be followed. One rule of thumb is to never wear white or light beige colors to a wedding. Black and bright red colors are also discouraged. In this case, the Brides' Mother is wearing a silver blue gown. The Bridesmaids are wearing a peachy pink color and the colors for the wedding are subtle touches of pinks and mauves. I have selected a dressy baby blue pant suit. This wedding is in July and it's hot! The material I have chosen is light and the jacket is long and flows well as I move. It will be dressy enough for the occasion. Because it is July, I have added some silver sandals to compliment my choice. Did you know that pant suits are becoming more popular for weddings and social events? This dress trend for women in the workplace and for social events has been changing for years! The Father of the Groom is important too. The Father of the Bride is wearing a dark suit and the groom and groomsmen will be wearing beige suits with ties to complement the bridesmaid colors. My husband will wear a dark suit with a shirt to complement my outfit. An important thing to remember, as the mother of the groom, is to not draw attention to yourself with inappropriate color choices or excessively bold style. The Bride and her Mother are spotlighted during this time. Be as elegant and beautiful as you can be. Make your son proud to call you Mom and Dad. This can be a very emotional time for a parent! Tuck away a kleenex or two for emergencies. A fresh touch of lipstick before pictures is important too! Most of all, enjoy every moment and treasure those special memories! I will. Wedding planning advice to make your special day perfect. Find unique wedding ideas, wedding etiquette, wedding customs and traditions, bridal gown shopping tips, wedding experts, wedding announcement ideas, recipes, much more! Thank you pmccray. I appreciate you stopping by! Thanks for stopping by Pamela and for your comment! Paula, It is important what the parents of the wedding couple wear and you have great instructions in your hub. Good hub. Thanks Cajunrooster. I always appreciate your comments. I am definitely looking forward to this great event. This is some very great information and something everyone needs to keep in mind. I know many Mother's of the groom who wanted to steal the spotlight!! You are very grounded in reality though and would never do that. With your great attitude and wonderful outlook I would just bet you will be the most radiant lady at the event anyway!! Another great hub.